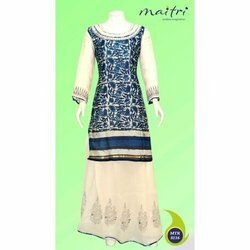 Our product range includes a wide range of designer cool salwar suits, ladies salwar suit, designer traditional salwar suits, palazzo salwar and designer salwar. We are dealers of designer suits. Our clients can avail this suits for a kind of casual look. These suits are known for their quality and comfort. 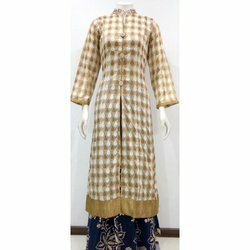 Embarking on our strong domain expertise, we offer an exceptional array of Ladies Salwar Suit that is valued for high quality and designer appeal. Our entire product range is skin-friendly in nature. Owing to its exceptional attributes, our entire product range is the preferred choice among fashion conscious clients. They are specially designed to meet the fashion conscious requirements. Indian Salwar Kameez or Shalwar Kameez is a dress normally worn by North Indian and traditional dress worn by various peoples of south-central Asia. With the dedicated support of our designers, we offer extremely classy array of Patiala Salwar that are treasured for high quality and smooth finishing standard. We offer them with colorful prints and can be easily paired with different types of kurtis or long tops. Our entire product range is skin-friendly in nature and is offered with customized solutions. Looking for Designer Salwars ?